Stretching the One Income Dollar: New Product Giveaway: Wrigley's is Freshening Your Breath For Valentine's Day! New Product Giveaway: Wrigley's is Freshening Your Breath For Valentine's Day! With Valentine’s Day just around the corner, many of us are looking for ways to freshen our breath in anticipation of an encounter with that special someone. Wrigley’s is introducing new 18 count Juicy Fruit®, Eclipse® and Orbit White® gum in pellet split packs. 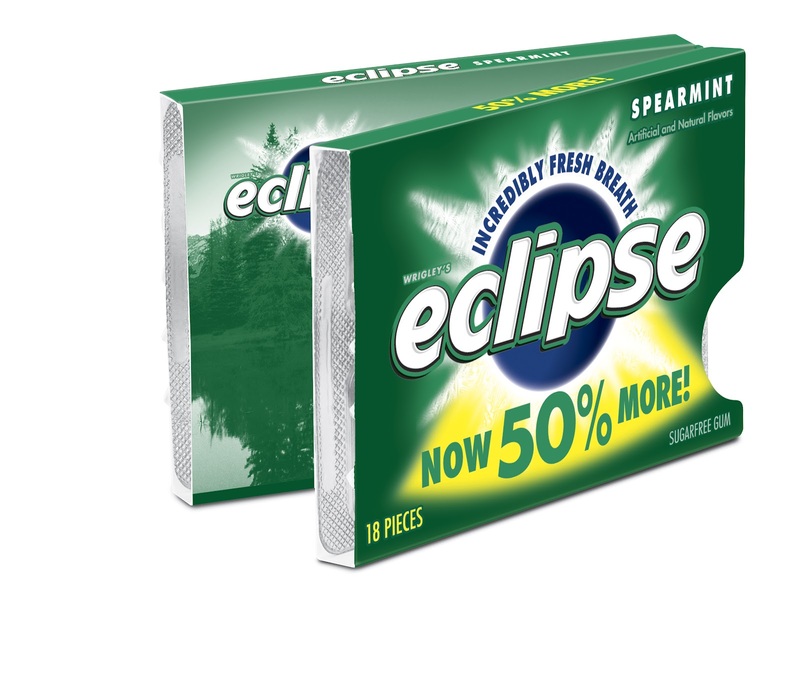 The new packaging offers 50 % more gum in the much loved flavours at only a very slight price increase-offering customers more gum for their buck. The new pack can be easily split in half and kept in various places or shared with someone-because you just never know when you will need to freshen your breath. Wrigley's would also love to give away a **Year's Supply of their new gum to one lucky winner from Canada or the USA .A random draw will be held by Random.org on February 15,2012 from all entries received. ** approximately 24 packs. 24 packs is technically 48 packs since the new format includes two packs so it’s like you’re getting one for every week of the year or a “year’s supply”! I love chewing gum, especially spearmint gum! I've chewed Wrigley's gum all my life - it sure has come a long way in 40 years! Thanks for the giveaway! Wrigley’s gum always tastes great and freshens my breath. What a great giveaway 24 packs of gum. Thanks for the chance to win such an awesome prize. Juicy fruit is one of my favourites. Gum for a year! What a great giveaway. But I'd have to share it with my Gramma. She chews gum all the time! I love Juicy Fruit! And the Orbit ads! Love Wrigleys! Juicy fruit theme song going through my head! Thanks! I love gum! I am also trying to quit smoking, so will be chewing 10X the amount I normally do! Thanks for the chance! Wrigley's Juicy Fruit was a staple when I was growing up! I remember as a kid chewing Juicy Fruit in the stick form and oh it was the best!! I find it's not as flavorful in the pellets, also my husband and I agree it brings back childhood memories with our parents! Chewing gum is great to take food stuck in your teeth. Juicy Fruit is one of my favorite gums! Thanks Wrigley! I really like the new packaging. More gum is never a bad thing. I have loved Wrigleys gum since I was a kid, and still do! Thanks for the great giveaway! I would love to try this gum from Wrigleys...thanks for such a great giveaway. 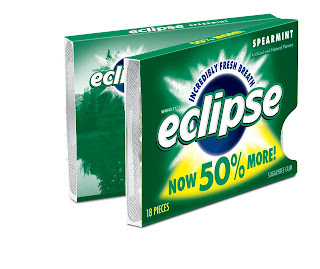 I like the extra gum and I enjoy eclipse gum frequently. I follow you in Google Friend as nightowl. we love gum in our house.